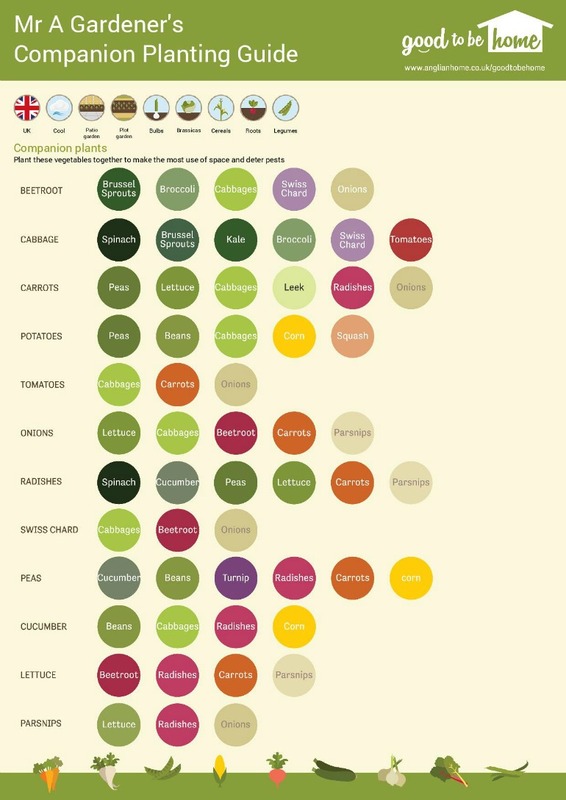 A while ago at Good to be Home, we produced a Vegetable Growing Cheat Sheet, a fantastic infographic that gives you just about all the information you need to successfully grow your own vegetables at home or in an allotment. It was really successful and if you’re a regular visitor to Good to be Home then you’ll have no doubt seen it plastered around the site. You might even have seen it across the nearly 100 websites that have featured it or the many thousand people who have shared it across social media. However, it was very UK-centric and there was a call from many keen gardeners for us to improve it further and expand it for those in other countries with different climates. 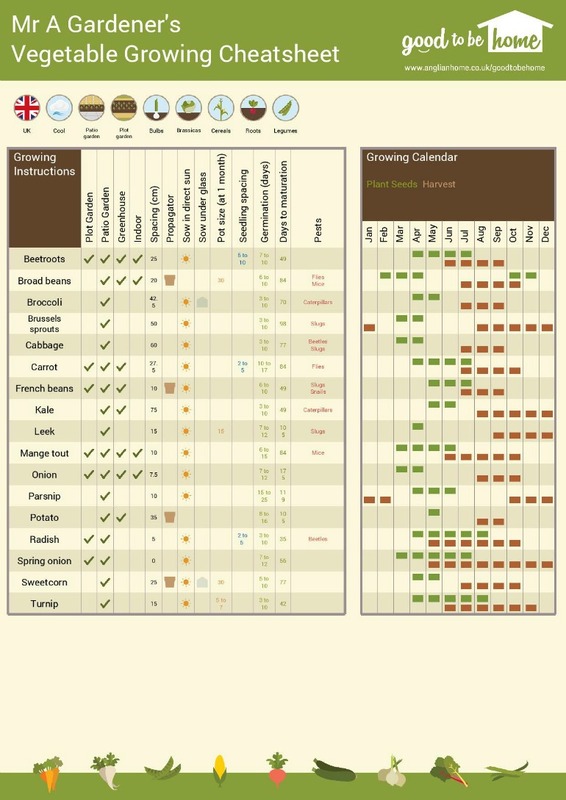 Click the button below to start your personalised vegetable growing cheat sheet. So that’s exactly what we did. But we didn’t just make a new infographic. 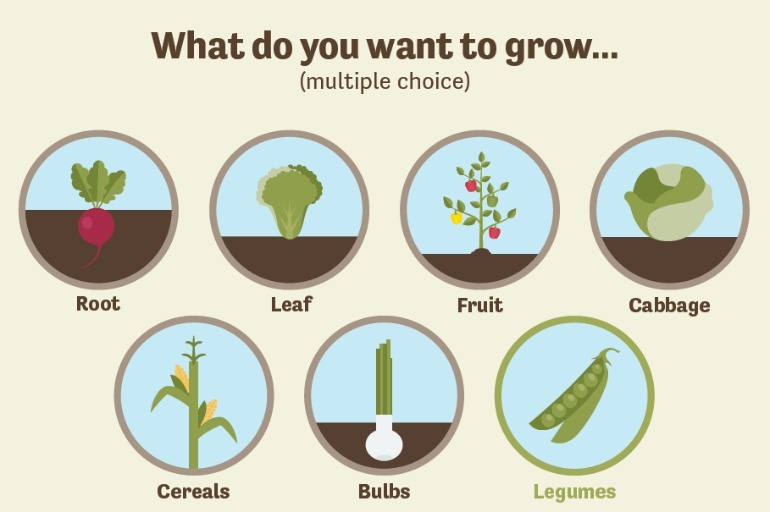 We made an interactive vegetable growing guide that lets you choose what you want to grow and where you want to grow it, all depending on where you live and your climate. You will choose your country from United Kingdom, America or Australia and then your local climate. Next you’ll pick where you want to grow, whether that’s patio garden, plot garden, greenhouse or indoors. Depending on your choices, you can then choose from a wide variety of vegetables, including root vegetables, legumes, leafy veg and much more. When you’ve chosen all that, you’ll be able to download your very own personalised vegetable growing guide that you can keep and use to become a veggie growing expert. If you’re just starting out in the world of growing your own, then this should be an invaluable guide, whilst it will hopefully even teach a thing or two to those who have been doing it for years. It should also provide a useful tool for schools and other establishments who want to teach gardening. So what are you waiting for? 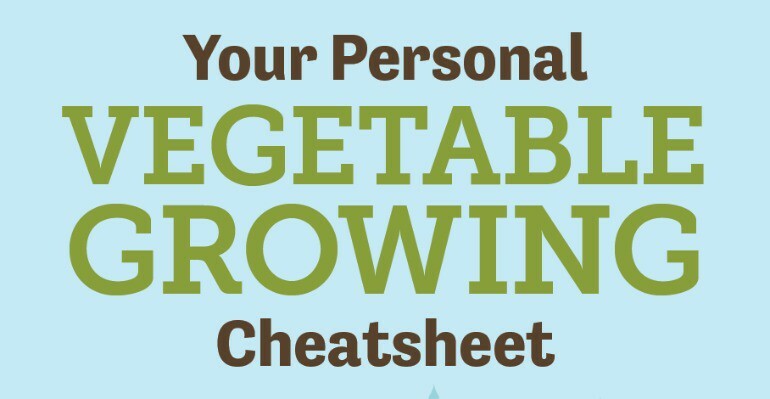 Check out our interactive vegetable growing cheat sheet and get creating your personalised cheat sheet!